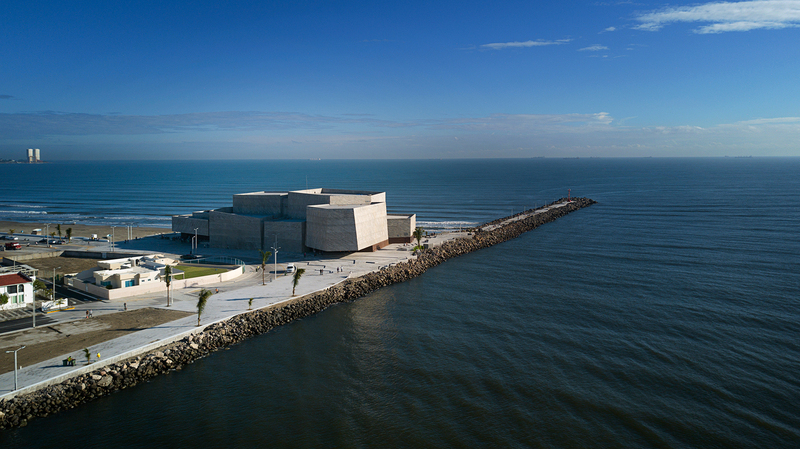 Foro Boca, the future home of the Boca del Rio Philharmonic Orchestra, is a new and innovative cultural venue that aims to function as an urban detonator that enhances the modernization of Boca del Rio, Veracruz. 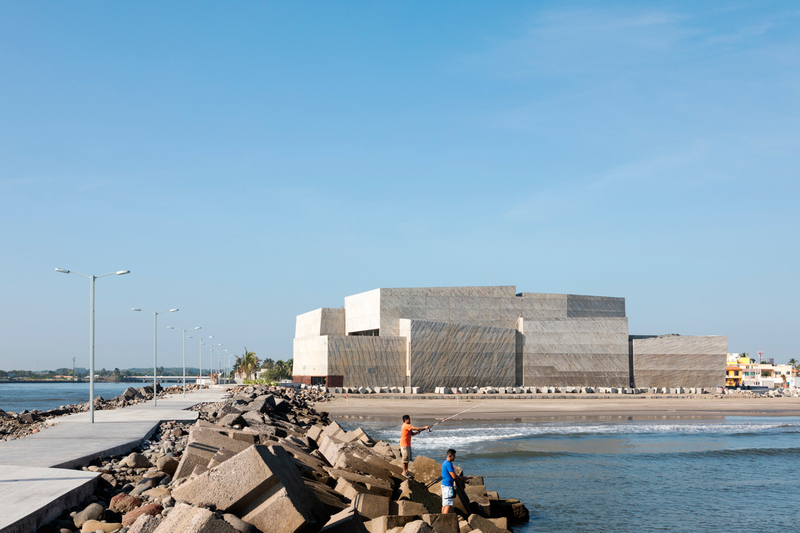 During recent years there has been an increased enrichment of musical and cultural life in Boca del Rio, Veracruz. In 2014, the Boca del Rio Philharmonic Orchestra was formed, and through its performances, it has attracted diverse musical expressions, as well as local and foreign musicians, making it the heart of cultural life in the city. The philharmonic orchestra is unique not only in Mexico, but also worldwide through three lines of action: a yearly season of Orchestral Concerts; monthly Chamber Music performances; and an after-school social development program for low-income children named “Orquestando Armonia”. This program focuses on choral and orchestral education fostering values and a sense of excellence for the children and the community. 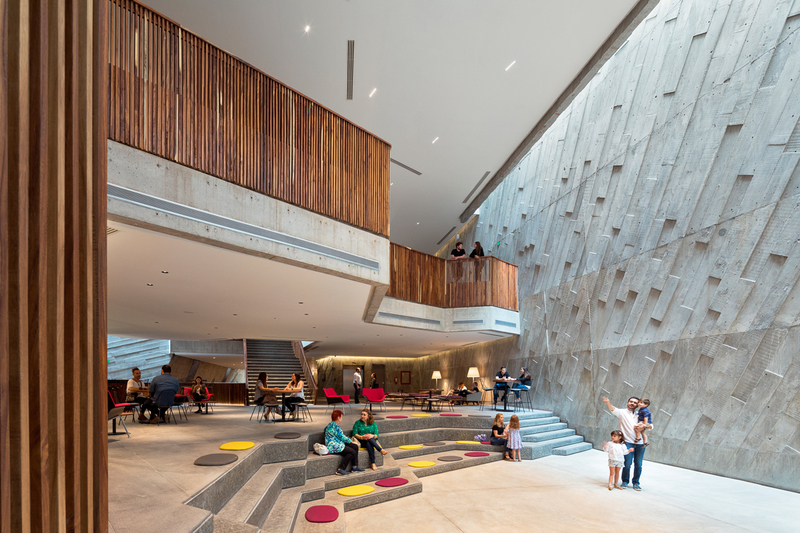 The dynamics and activities of the orchestra have had a successful social and cultural impact, emphasizing the need for a new social space to serve as the new home for the orchestra and its programs. 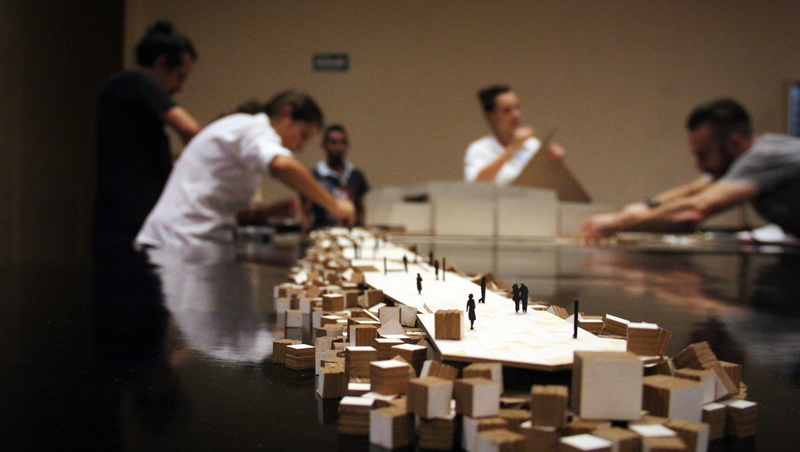 Foro Boca fits within a master plan that seeks to revitalize an urban area that is currently deteriorated. It is located in the estuary of the river, a location that not only names the locality but also has a rich history and culinary tradition. 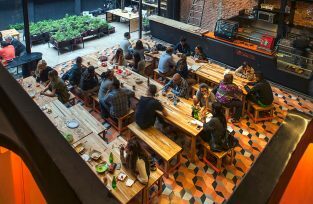 The site is located beside the breakwater dividing the river and the sea, at the end of the Coastal Avenue Vicente Fox, and at the convergence point with Avenue Zamora, where all the local restaurants are lined up. 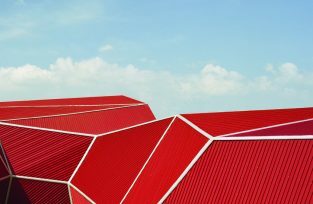 Foro Boca’s location is intended to articulate the dynamics of the central part of the city with the Coastal Avenue, and aims to function as an urban detonator capable of inciting modernity in the area. 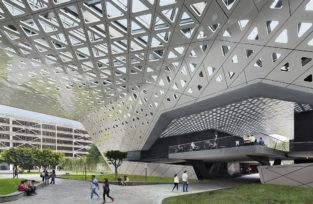 The forum itself is a tool that has permitted the reconstruction and renovation of the infrastructure and urban image of this part of the city. 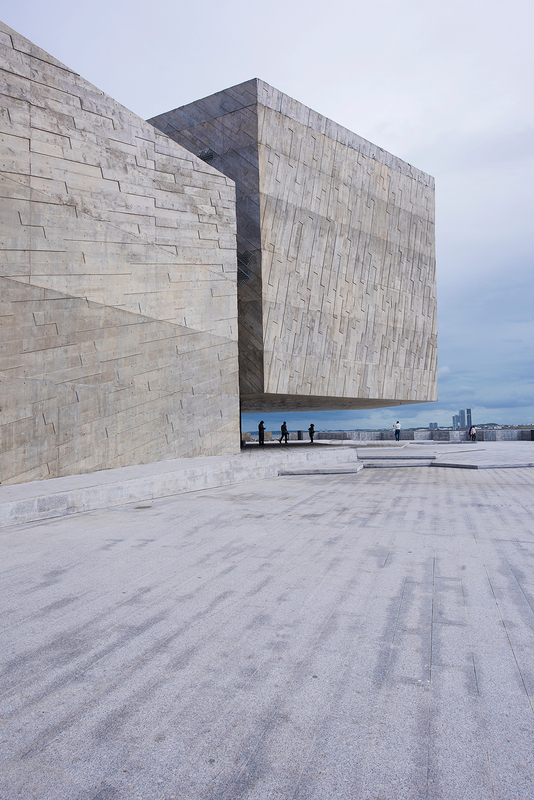 The building appropriates the timeless expression of the concretes cubes formed by ripraps in the breakwater. 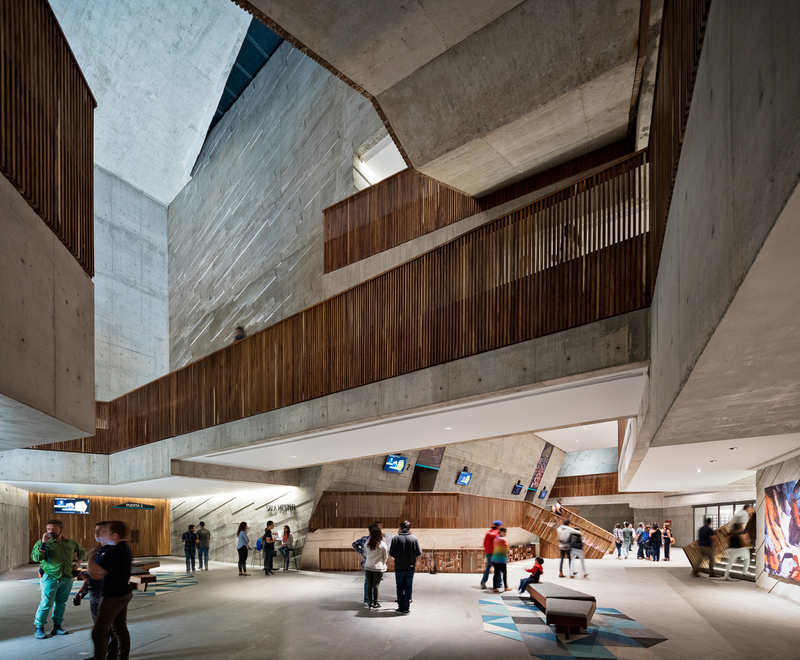 It reinterprets them, creating a building formed by a series of exposed concrete volumes arranged randomly, containing the concert hall. 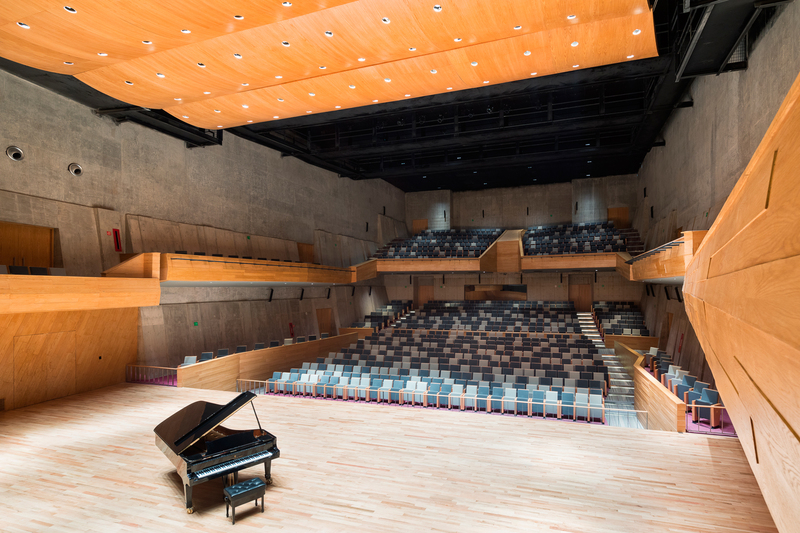 In its interior, the concert hall demonstrates the technical knowledge of foreign and local specialists in acoustics, isoptics, and theatrical mechanics. 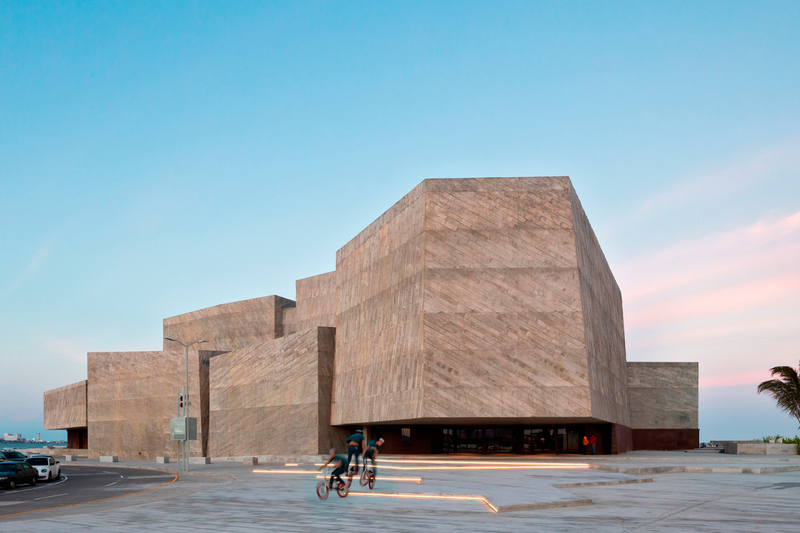 It possesses the equipment to become the most sophisticated concert hall in the country. 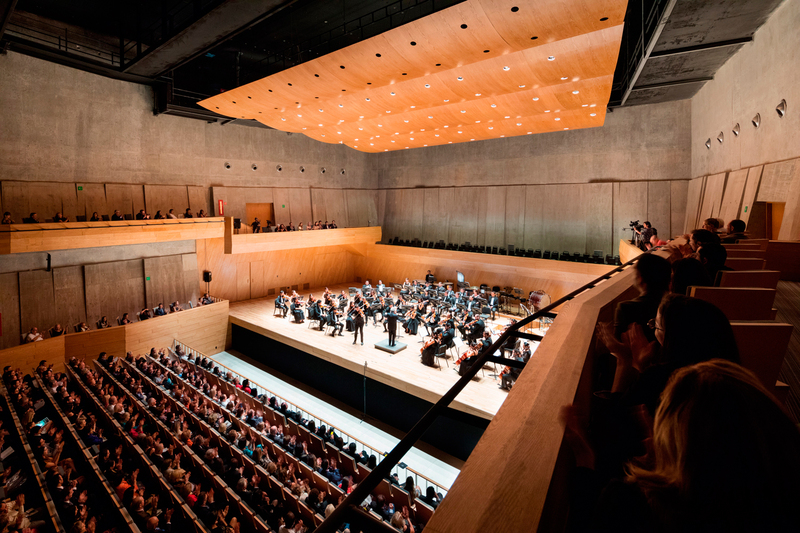 The concert hall is for classical, traditional and popular music, planned for an audience of 966 people, with the possibility of presenting shows involving dance, theater and cinema. 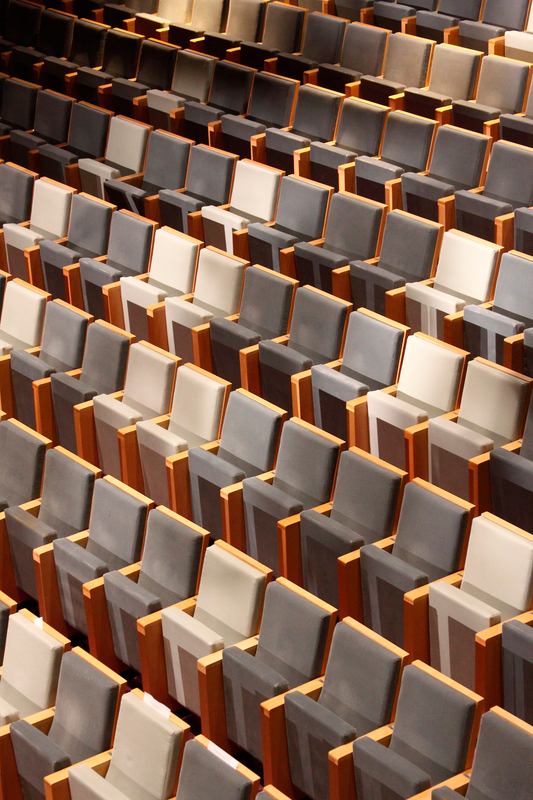 Additionally, the forum will have a rehearsal hall that can also serve for chamber music concerts, theater, cinema and contemporary dance presentations, this hall can hold 150 spectators. The back of the house of the forum serves the needs of the philharmonic orchestra. 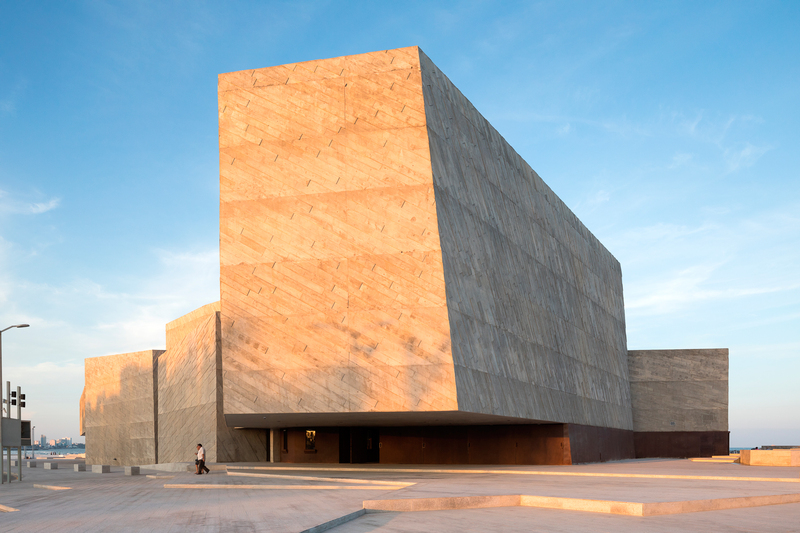 It will feature rehearsal halls for percussionists, pianists and solo performers. 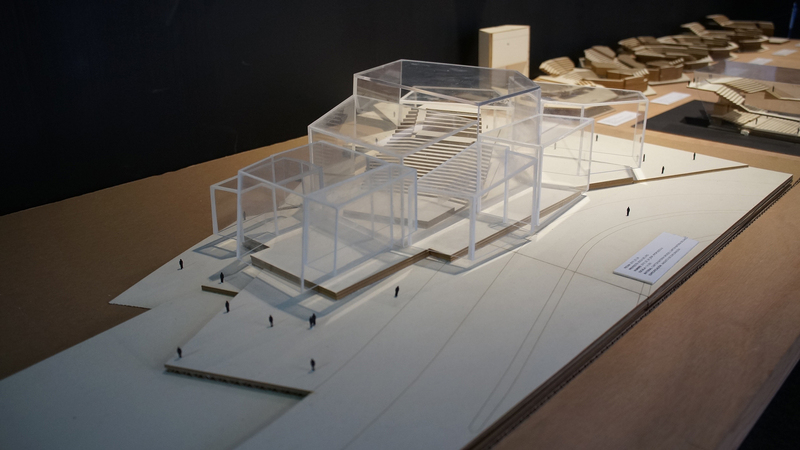 It also includes a recording studio, general changing rooms and private changing rooms for directors, guest performers and the philharmonic’s director. 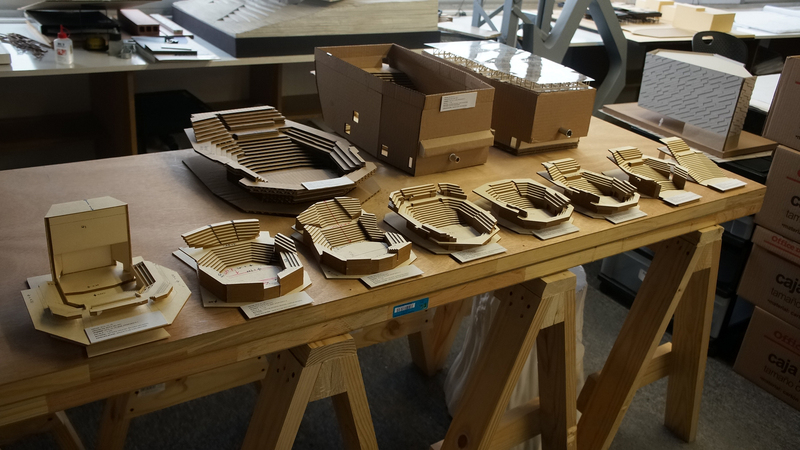 These areas were conceived to combine the daily routines of the orchestra with the needs of other activities, such as theater performances. The building will also hold an office area and a musical library. In all these facilities, the forum will be able to offer workshops, courses and various festivals. 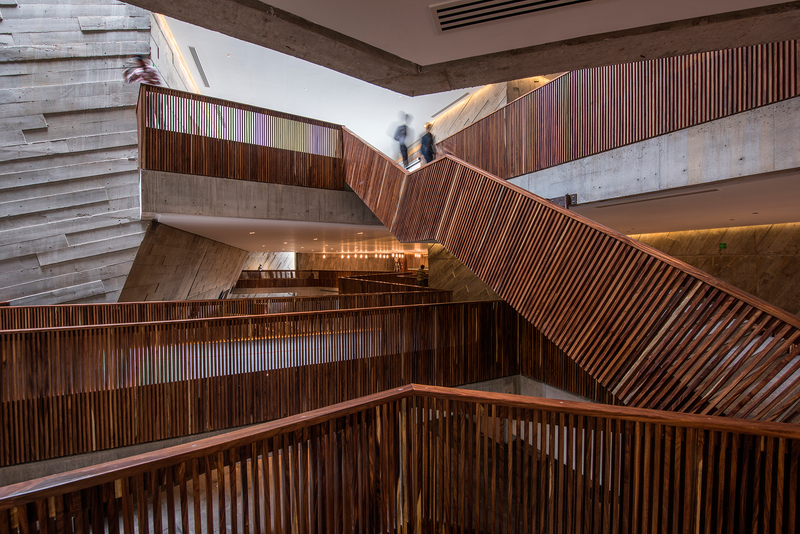 The public area of the building features a three-story vestibule combining the floor and voids to create access to the halls. The top floor includes a terrace overlooking the river and the sea. The building also includes a cafeteria and a restaurant. Within the platforms of the vestibule, spaces are formed where solo concerts, camera concerts, dance performances and contemporary theater plays can be held. 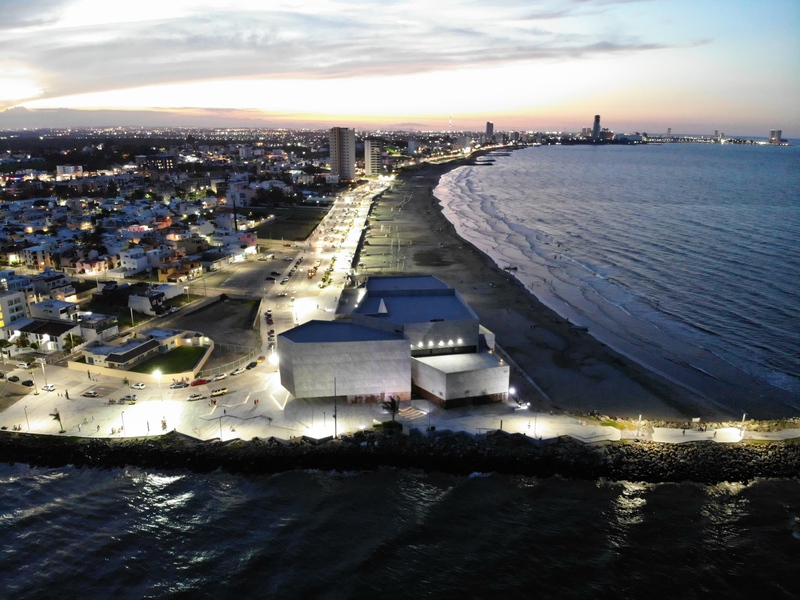 Foro Boca generates a public space on its exterior that permits the extension of the access plaza throughout the breakwater area, creating points of entertainment, or ludic spaces that complement the public life of the hall. 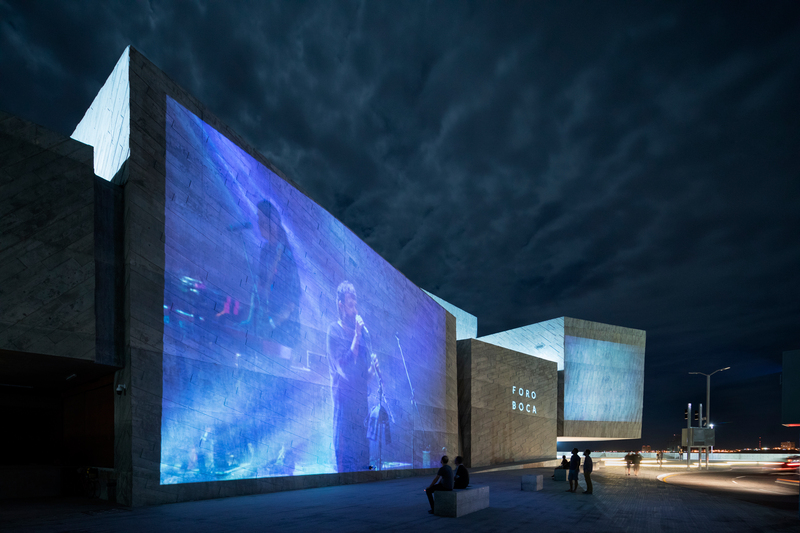 There will also be an audio and visual projection system to screen the concerts taking place inside onto the façade of the building, with the intention of consolidating a social enclosure that builds on the public sphere of the area.